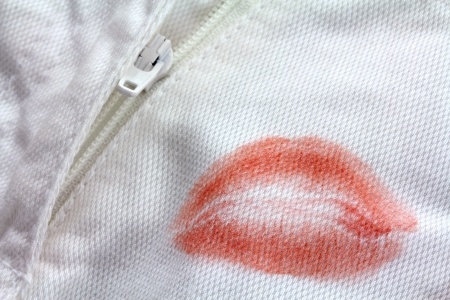 Debt Free, Cashed Up and Laughing - The Cheapskates way to living the good life: Lipstick on Your Collar? I love the new lipsticks that stay on for just about forever, when they are on my lips. I'm not so fond of them when they're on my clothes or hankies - they are hard to shift. 1.Rub the spot with white bread, from the edge in towards the centre, until it has disappeared. Launder as usual. 2.Smear petroleum jelly (good old Vaseline) over the stain, then dab with dry cleaning solution, swapping to a clean spot on the cloth, until the stain has disappeared. Launder as usual. 3.Pat a few drops of vegetable oil onto the stain, gently massage in, from the outer edge towards the centre, leave for 5 minutes then launder as usual.